Novartis has suddenly found itself embroiled in the Stormy Daniels affair, after the lawyer representing her, Michael Avenatti, included the Basel-based pharma company in a series of payments made to a company set up by President Trump’s personal lawyer, Michael Cohen. Avenatti revealed that Novartis had made four payments of $99,980, with the payments ending in January – not long before CEO Vas Narasimhan met with Trump in February. The money was ended up in the bank account of Essential Consultants, a company that Cohen set up shortly before the presidential election. It was an account from the same company that transferred $130,000 to a representative of Daniels to allegedly buy her silence regarding an affair she may have had with Trump. Having such a direct link to a hugely controversial case is not ideal for Novartis, as it is also at the centre of an equally damaging bribery case in Greece that has implicated a number of government officials. 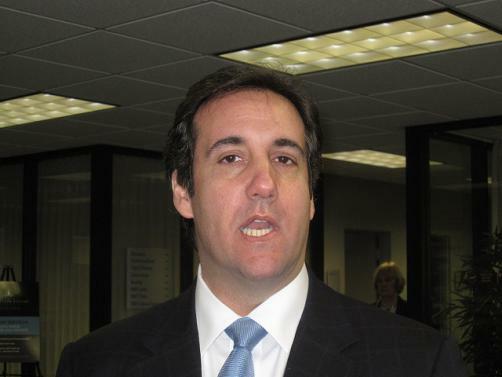 Novartis was not the only company allegedly involved in making such payments to Cohen’s company; Avenatti also revealed that $500,000 had been paid into the same account by Columbus Nova – a company that has affiliations to Russian oligarch, Viktor Vekselberg. In addition, AT&T also paid $200,000 in four payments to Essential Consultants, leading up to an attempted merger with Time Warner, which was initially blocked by the Department of Justice. While the other payment, revealed Avenatti, was made by Korea Aerospace Industries as a single payment of $150,000. The revelations highlight the murky affairs that play out in the background of political lobbying but, unusually, have now been brought to light by a shared link to the Trump-Daniels affair that has occupied headlines for the last few weeks.